6003: Largest class of dental students to date – 1978. $250,000: current baseline student loan debt. $2800: my student loan debt upon graduation in 1977. 160: UMKC Class of 1977 celebrating their 40th reunion at the Midwest Dental Conference. 1: Number of Women graduates in UMKC Class of 1977. 76: net loss (33.78%) of graduates at UMKC and UNCD 1977 vs. 2016. 100%: Financing available to qualified buyers from banks with practice acquisition financing experience. 5%: Chances that an associate will segue into ownership while seller stays and retires in the future. 5%: optimistic projection for the percentage of sellers who understand the effects of asset allocation. If you have questions about any of these numbers and are wondering what impact they may have on your practice and transition plans, please do not hesitate to give us a call or drop us a note. We deal with the effects of these numbers every day and will be happy to discuss. Many people assume that the sale and transition of a dental practice is a small and simple process. After all, how difficult can it be for a Mom and Pop sized business to transfer to new ownership? Well the fact is, there are many long and tedious steps involved in getting from a listing to a closing, directly involving the lives of the sellers, buyers, office staff and often thousands of patients. While most issues can be resolved by negotiation in good faith, there are a few things that can pop up which will have a direct effect on the value of the transaction and often, the feasibility of a sale. In some cases a little pre-sale planning might have averted disaster but often the problems are inherent to the business. In this series of posts, I’ll take a look at five elements that effectively kill off a practice transition. In it, we’ll examine a few circumstances that bubbled to the surface in the past – but rest assured, there are probably other land mines waiting to be discovered. I’ve saved the best (or worst) for last; Real Estate. The building is obsolete. There was a time when a cozy, 1000 sq. ft. office with three operatories was the standard. Doctors built those offices on the nicest corners in towns all over the country but the 2016 reality is that the buyers want at least four and probably six operatories and your building is of little interest to them. Throw in a dated design that has not yet reached Historic Registry designation makes this a tough sell. We find that having real estate involved reduces the number of prospects for the practice by about 75%. Insisting that the buyer simultaneously purchase the building will result in some indigestion. The building is in a bad location. We will discuss Rural vs. Metro listing in a minute but for now let’s go back to 1975 when the building was platted and built. The area was probably picked because it was located in a growing part of the city with good access and parking. The office might have been in a quiet neighborhood somewhat centrally located to its anticipated patient base. Calendar ahead 40 years and most of the city’s growth is now miles away, the intersection near your office is five lanes wide and the road development in 1990 took up 40% of your parking. Patients are now traveling several miles for their appointments and the surrounding buildings have pawn shops and title loan offices as tenants. This too may be a tough sell unless the practice is discounted enough that the buyer can afford a new buildout in a more comfortable area. Hopefully the old building site can be sold to Taco Bell. The building is probably overpriced. Let’s get real, dental office space is not useable for much of any other purpose. Trying to get a premium price for a property that has a limited functional value, in addition to the sale of the practice will find few takers. Yes, you spent a fortune in plumbing and leasehold improvements but the value may have been in your control of your work space and/or pride of ownership. Your equity position may not be as strong as you think. We find, too, that the Great Recession has left many building owners upside down on their mortgage and buyers and lenders are too savvy to cure your problem. If you built a building in the last 15 years and took out a long term mortgage, there is a good chance that the sale of your practice and building will result in a net after tax loss. Many have found that they are better off to keep working (if possible) for a few more years, at least benefiting from some ordinary income. Your kindly partner slits your throat. Building partnerships are a disaster waiting to happen. If you have a partner in the building housing your practice, I can assure you that partner has a say in your choice of successor for your practice. They have veto power. While they might have been happy partnering and practicing with you, who’s to say that they will be ok with your buyer? One way or another, they will have to sign off on your sale, either as a landlord or for a right of first refusal and I have seen more than one case where they declined. Talk about a fun office Christmas party! Part 4:The understandable choice of the wrong bank is another deal killer. I say this is understandable because most of us live our entire lives not really understanding the different types of banks and bankers. Personal relationships with very pleasant bankers might seem like a smooth and easy way to do business but the world of dental practice finance is actually a relatively small niche in a specialized area of banking. Going to the wrong teller’s window may not only prove to be a waste of time, it may actually torpedo your deal. For our purposes, there are two general types of lenders or lender divisions. The most common and the type a dentist has generally done most of their business with deals with hard assets like cars, boats, houses and dental equipment. These are known as Asset Based Lenders and their business model is based primarily on the value of collateral offered by the buyer. Even when referred to as “Small Business Lenders”, they frequently look to cover their loan with additional assets or guarantees such as co-signers or assistance from the Small Business Administration. While these are great folks to visit with when you want to buy a new car or some equipment upgrades, they will not be very helpful with practice acquisition funding. For that type of funding you need the services of a bank whose model is based on Cash Flow and understands that the vast majority of the purchase price of a dental practice is almost always made up of intangible assets. If you are not dealing with the right type of bank, believe me you are headed for disappointment. The problem comes when Asset Based lenders get involved and really, really, really want to be helpful. As the process works its way through the various management layers and loan committees, the buyer and seller are left treading water, waiting to see if funds are ever going to be available to consummate their transaction. Weeks turn into months and ultimately the lender reports that they will not be able to do the deal without the personal guarantee of most of the buyers’ family tree. Sensing that something must be wrong, the buyer freaks and withdraws their offer when in fact the right bank could have given them a tentative approval for funding in just a few days. Smaller and/or small town banks are particularly known for this, again because they want to be helpful. On rare occasions they will have some Community Development Funds that they can use for an acquisition but even then the terms will be very restrictive. Part 3: Sometimes You Picked the Wrong Buyer. They are not clinically capable of treating the volume of patients at the target practice. They do not have adequate credit ability or financial resources to close the deal. They may have issues with their immigration status. They may not have a current license in your state. There may be spousal objection to the practice location. The buyer may have personal problems such as addiction issues, dental board scrutiny or a pending divorce that will ultimately get in the way of closing a deal. Up next: The understandable choice of the wrong bank is another deal killer. Part 2: Poor representation kills a lot of deals with improper valuation at the top of the list. There seems to be no shortage of “experts” on the subject of practice valuation and we find owner’s opinions of their practice value to often be way off base. Their logic seems to be based on some magic formula that failed to take into account, among other things, cash flow and market data. I can assure you that there is very little “Stupid Money” in the marketplace that will come to closing without some justification of value. We find buyers and their bankers to generally be more knowledgeable than sellers about practice valuation and overpricing an office gives the impression that the seller is greedy, doesn’t know what they are doing or both. You are cruising for a crash if you do not have a thorough, current, accurate and justifiable valuation of your practice. Most accountants are terrific people and do tremendous work for their clients. Some however are sloppy. Since dentists are the trusting souls that they are, they abdicate this part of their practice’s management and the recordkeeping proves to be difficult to understand. Ultimately this interferes with the buyer’s ability to convince a lender to front them several hundreds of thousands of dollars for the purchase. Doubt arises too about the ethics of the practice and what else may not be properly tracked. Questionable shifting of personal expenses may have saved a few dollars in taxes in prior years but now comes back to haunt the seller. Make sure your accounting and tax preparations are clean and understandable, requiring as little adjustment as possible to determine the true profitability of the practice. The buyer is already losing sleep over this transaction. Don’t give them another reason to worry. And who can forget our attorney friends? Like the accountants, most are terrific folks, working in the best interest of their clients. We refuse to come to closing without all parties being appropriately represented by counsel. That being said, some have no idea what they are doing and may be responsible for a good deal to crash and burn. Just because a son, daughter, brother, wife, nephew, uncle, aunt is an attorney does not make them qualified to represent a dental practice buyer or seller any more than we would place multiple implants on a patient just because we’re dentists. 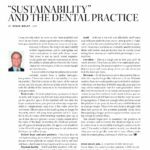 Dental practice transitions are high trust transactions that involve a considerable amount of intangible value and cooperation. An attorney bent on “winning all the wins” and making sure the other party “loses all the losses” is a recipe for failure. Find an attorney with experience in dental practice sales and a reputation for getting deals done. The few dollars you save by having a friend or relative represent you could prove to be very painful. Part 1: Let’s Start with Lack of Proper Pre-sale Planning. Certainly one of the first questions we ask potential clients is something along the lines of; “What are you going to do with the rest of your life after we sell your practice”? 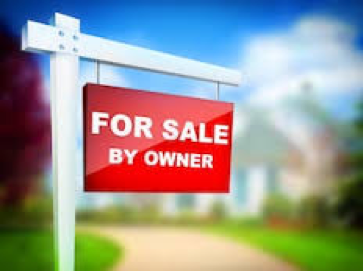 We have found that if the owner does not have a good answer to this question along with some assurance that they have a sound financial base and can afford a retirement lifestyle, they make poor clients who often prove to be uncooperative and unattractive to prospective buyers. This is not intentional of course but rather an indication that they just don’t know what they are going to do with themselves. Vague exit plans are a real turn off to a prospective buyer as they become suspicious that the senior doc may somehow try to worm their way back into the practice’s market area. Buyers borrowing hundreds of thousands of dollars in addition to a sizable student loan debt do not want to risk having to compete with the former owner of the practice. Any talk of working after the sale will sometimes cause the buyer to walk away. Another area of poor planning may involve current associates or staff people. In an effort to secure that “Associate to Owner” prospect, agreements made with associate doctors are amateurish and incomplete. When a practice is subsequently placed on the market, only to find that the associate doctor does not have an enforceable Covenant Not To Compete, the value and marketability of the practice can take a huge hit. Buying their cooperation after the fact can be expensive and again may provide the buyer with cause to call off the sale. We occasionally find staff members who for some reason are paid way, way outside of the normal pay scale and the buyer is justifiably concerned about continuing that rate or (gulp) having to dismiss a key person. I have seen a deal killed when that staff member stated their intentions to essentially extort their salary from the new doc. The last thing I’ll mention in this area is the lack of adequate curb appeal and equipment/technology upgrades. You can take for granted that all buyers expect digital radiography and a pathway to paperless charting. While some sellers may have no interest in a digital conversion, we have found that the “I’ll just discount the price and let them get what they want” is a poor strategy. We have found marketing techniques around this but given a choice between a digital and non-digital practice, most buyers will take the path of least resistance. We often say too that it is amazing what $10,000 can do to the appearance of a dental office but buyers show little interest in having to remodel the office before they can get to work. Maybe it’s time to give up the walnut paneling and shag carpet. Up next: Poor representation kills a lot of deals – with improper valuation being at the top of the list. Three years ago, I shifted from full time dentistry into the world of dental practice transitions. As a member of the team at ADS MidAmerica Dental Practice Sales, I’ve learned a lot about the opportunities afforded those in our profession who are just starting out, or making a mid-career course correction. I’ve thoroughly enjoyed the opportunity to sit down with many former students and friends, sharing some of the experiences (and mistakes) I’ve made as a practice owner, while encouraging the next generation of dentists to move into private practice. Which brings me to the subject of this post: I continue to be amazed at the disparity between dental practices in rural areas, verses those in major metros. And at the risk of appearing overly materialistic, I wanted to share a couple of observations. First, a little background. As Dr. Wolff has pointed out numerous times, in our day – we both graduated from dental school in 1977 – most graduates had between zero and $15,000 in debt. We enjoyed great careers where we wanted to be. Many of us have been taking home between $100,000 and $200,000 per year, and are now seriously thinking about retirement. Contrast the new graduate, with $250,000.00 in debt, who needs to generate much more income than the previous generation. In fact, if you do the math, that new dentist has to commit the first $100,000 of production to making his annual student loan payment before taking any money home to pay the mortgage, keep the lights on, or save for kids’ college. So now, my thoughts on (relatively) smaller-market practices. Our office is consistently seeing practices grossing up to a million dollars, and taking home from $300- $400,000.00. What do these offices have in common? Glad you asked. They are in rural areas, or at least in areas not named Kansas City. In recent months, we listed five practices in the Wichita area, and while Wichita is definitely not a rural environment, the opportunity for income significantly above what I see as a typical Kansas City area practice is undeniable. In smaller communities – the earning potential for a dentist in western Kansas, southern or central Missouri can easily be THREE TIMES what a typical 55-year-old dentist in Overland Park or Lee’s Summit is taking home. Yes. You read that right. Three times. Worth considering? So what’s the take away? I’m hoping that some small percentage of you who are now in dental school, or who are just beginning your career working at a Federally Qualified Health Center or a corporate dental practice will consider a future you hadn’t thought of before. A future that would give you some life style choices – and potentially a lot more income. I mentioned before that the real reward for my personal career change has been sitting down with dentists and discussing the opportunities and options, seen from the eyes of a baby boomer who has benefitted greatly from what this profession has to offer. Give me a call. I’ll buy the coffee. Be Careful What You Say. . . There is an interesting paradox in the world of business mergers and acquisitions surrounding the marketing of an individual company. While there is a need to “get the word out”, there is also a proven loss of value often attributed to “the word getting out”. We recognize a further conundrum in that the entire market we serve contains about 3500 dentists, which by any standard would be the population of a small town. We all know that if you live in a small town and buy a new Corvette on Friday, everyone will know about it by Monday. If you are considering self-promoting the sale of your practice, be prepared to accept that in a short time, everyone in town, including us, will know your business. The very nature of relationships with vendors, students, study club members, dental schools and even organized dentistry is about networking and not confidentiality. For example, the unintended consequences of conversations with dental students (who we have repeatedly said are likely not buyers) who have conversations with other students and “advisors”, who then themselves have other spin-off conversations may well result in your staff finding out through the back door that you are trying to make them someone else’s employees. That may well result in an awkward Monday morning confrontation. Worse yet, staff members have been known to take matters into their own hands and seek other employment. Premature exposure of your intentions to transition your practice can have a significant impact on its marketability and value. To be blunt, it proves to the market that you don’t know what you’re doing. One of the top five reasons we are retained by clients to market and transition their practice is our control of confidentiality. By way of agreements and vetting of buyer prospects, we control the flow of information and intrusions into the practice so that when the seller makes the announcement of their intentions, everyone is the first to know. While we aren’t naïve enough to believe that no one ever knows something they shouldn’t, we are confident that very few outside the circle of “need to know” ever know. By the way – we recently produced a small brochure on the hazards of the “For Sale by Owner” option. Give me a call. I’ll be sure you get one. I’m sorry for consecutive blog posts to have a baseball theme but the timing seemed right. I recently used the glove pictured below in the Royal’s “Relay the Way” fundraiser on opening day at the “K.” (Kauffman Stadium – for those who either don’t follow baseball or or not from Kansas City.) This is not just any glove. If you look carefully you can see where my father burned my name on to the thumb area somewhere close to 55 years ago. I wore this glove when my Little League team won the area championship in Fort Worth, Texas back in the early 60s. I was a weak-hitting second baseman on a team full of kids I never saw again – but I was none the less hooked on baseball. 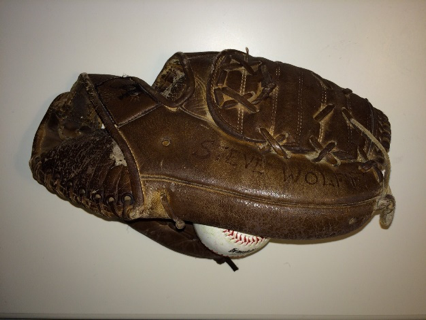 My grandfather, this glove and I saw a lot of games together at the old Municipal Stadium in Kansas City. And what I wouldn’t give to have another game of catch with my dad, a la Kevin Costner in Field of Dreams. (To me, plowing up a corn field to make a baseball diamond seems perfectly reasonable.) The tradition continues. To me it’s great fun to watch everything from T-ball to playoff games with my kids and grandkids. After catching thousands of balls in its webbing, and after we attended the infamous American League Wild Card game in 2014, Debbie had the glove repaired. She finally understood why I listened to or watched 140-plus Royals games every year. 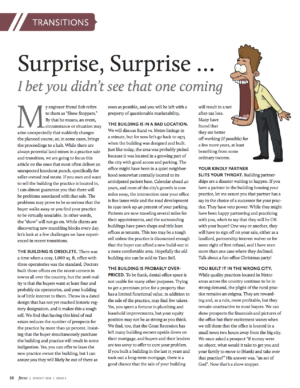 So what in the world does this have to do with dental practice transitions and sales? Well, the fact is that the same emotion that brings baseball fans together is what motivates many of our retirement-aged clients to ask for our help. Finding someone to continue the legacy of care that they have provided to their patients and staff for decades is their primary charge to us. Our clients “have enough” monetarily, and are not relying on the sale of their practice to be the cornerstone of their retirement account. If they are, we will probably disappoint them as working for a couple more years will almost always result in more money in their pockets than the proceeds of a sale. On the contrary, our clients are concerned that patients can continue to be treated in a place where they are known and respected. Retaining staff members (sometimes including single moms) and their jobs has kept more than one client working chair-side long after they “had enough.” While no one wants to give away their hard earned practice assets, in our experience, retirement-aged docs cherish the memories and relationships that 35 or 40 years of practice has brought them – more than money. I’ll tell you that helping them carry on their legacy and getting newcomers started on a history of their own is our greatest reward. Practice sales, like baseball, are indeed about the legacy.